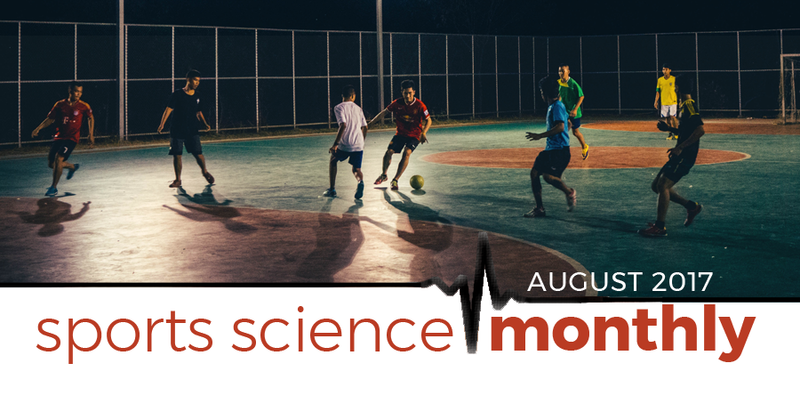 Welcome to this month’s edition of Sports Science Monthly, where we take a look at recent research in the realm of sports science. In this edition, we take a look at running coordination, the nature vs nurture debate, causes of illnesses and injuries, vitamin D supplementation, caffeine, and test familiarization. Does Vitamin D supplementation actually improve performance? Caffeine – is coffee good enough? Running coordination and overuse injuries? » Quick Summary: the act of running is a complex task, and relies on a variety of feedback mechanisms that enable us to maintain efficiency but also ability to deal with perturbations. In order to prevent overuse injuries, different coordinational challenges should be placed on the athlete’s nervous system, allowing them to maintain a broad movement library. Let’s kick off this month with a look at a recent paper by friend of HMMR Media, John Kiely. If you’ve come across his work before, you’ll know that John likes to look at things through a slightly different lens to most people, bringing in knowledge for a variety of different disciplines to explain what is going on. This paper is no different. Entitled The Robust Running Ape: Unravelling the deep underpinnings of coordinated human running proficiency, the paper itself covers many things, but the key theme throughout is how humans have evolved a complex but plastic (i.e. adaptable) system for running, and that changes within this system can contribute to the development of overuse injuries. From a biological and evolutionary perspective, humans are unique in that we run on two appendages in an upright position. The human gait cycle requires us to spend long periods of time in the air and brief time periods on the ground. During this contact with the ground, our tissues are required to absorb the shock of impact, which can be many times bodyweight, and recycle and redirect this force through the foot. Due to this complex, high load gait cycle, humans tend to suffer frequent running related injuries, with some studies reporting prevalence of such injuries as high as 70% per year. One such common type of injury is that of overuse, whereby microtrauma accumulates over an extended period of time, leading to tissue breakdown or increased sensitization and pain. Kiely’s central thought within this paper is that alterations in normal running coordination can increase the predisposition towards overuse injuries in athletes. When running, the human body has to balance two essential needs from an evolutionary standpoint; the use of available resources to achieve the desired outcome, and the guarding against running related threats. Such threats were historically more severe than today, and they include the depletion of energy (which historically could lead to death through malnourishment), tissue injury (which could increase vulnerability to predators or make an individual a burden to a social group), and an overload of neural processes. This final point is interesting; if running required such concentration that humans were unable to adequately spot dangers, then from an evolutionary standpoint this would endanger species survival. To counteract this, in humans well accustomed to running, the action is subconscious. As we run, there is a constant interplay between how motivated we are to continue running (historically this might have been to hunt food; today this is likely to be in chase of a specific time or performance) and the “threat” of exercise. A number of times in this article series I have referred to the psychobiological model, in which aspects such as perception of effort are monitored and perceived by the brain, and effort is duly adjusted. For example, running leads to the depletion of energy stores within muscle; the lower these stores become, the greater the perception of effort felt. However, by rinsing carbohydrate around the mouth, the brain perceives this to mean additional fuel is soon on the way, and as such reduces the perception of effort. One important sensory input as part of this model is pain; as the brain perceives pain from a set of tissues, it can alter the running gait in order to offload that tissue somewhat, protecting against injury and reducing the threat of exercise. In novice runners, these alterations in running gait may be obvious as they lack the neural control, sensitivity and experience to make small corrections; however, in experienced runners, these perturbations are likely to go unnoticed. When watching an individual run, it appears that each stride cycle is uniform. However, runners are constantly making small changes to their gait allowing them to spread the load across available tissues. This allows the athlete to avoid mechanically overloading any one tissue. The ability to make changes in the gait cycle also allows the athlete to respond to challenges that might occur, such as obstacles, or opposition players in team sports; however, too much variability is negative, as it increases the psychological burden required to make these changes. Healthy running, therefore, is the optimal balance between being able to spread load across tissue, and maintaining the ability to make changes and corrections to the cycle. Over time, certain tissues accumulate damage, making them unable to tolerate a set quantity of mechanical load through running. If this is just one of two areas of tissue, this likely causes few problems, as the gait cycle can be altered to minimize loading of these tissues. However, as the amount of tissue unable to tolerate load increases, then fewer other tissues are able to be recruited in which to place this load. This causes the athlete to either overload a specific tissue group (as the load cannot be dissipated elsewhere), or place the load on an unconditioned tissue group. Both, obviously, increase the risk of injury. In addition to this, Kiely examines the fact that running coordination is plastic (i.e. changeable). This has a number of real world issues. The first is that, as we get better at running, our nervous system becomes more efficient at completing the task; it essentially requires a lower neural load. From an evolutionary standpoint, this is useful, but it does make us more prone to overuse injury as we become unable to adequately “problem solve” movement problems, such as offsetting tissue or navigating obstacles. As such, it is important to undertake training inventions that challenge the co-coordinative running system , which will increase neuro-plastic remodeling. This can be achieved through a variety of techniques, including the use of different running speeds, as well as running on different terrains (such as grass or sand, barefoot or in shoes). The use of drills also helps in this regard, as well as low hurdles – the famous “wicket” drills. Kiely has previously written an article on how to achieve this movement variability that leads to neuro-plastic remodeling, which you can find here. The key take homes, for me, is that poor movement variability increases the risk of overuse injury , and represents an inability to adapt to an external challenge. The use of a different training interventions, detailed in the above linked article, can improve this movement variability, and hopefully offset, or at least reduce, the risk of overuse injuries in runners.